Join me as we cling to the arts and express our faith and joy in sweet Jesus! Last year, God asked me to camp out in Isaiah 12 for four months. I painted this watercolor as a picture of drinking from that deep, deep well. 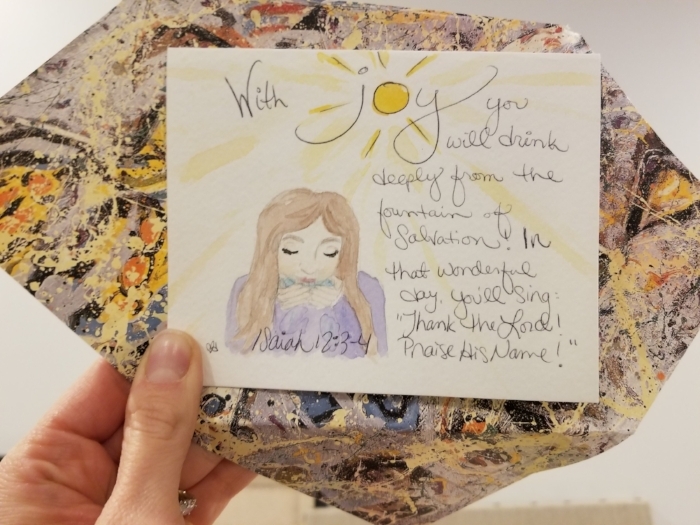 Later, a friend shared with me her watercolor, also inspired by Isaiah 12! We marveled that we had both been painting the same scripture! So it's your turn to help us finish painting the whole chapter! Meditate on Isaiah 12. As you read the chapter, pray and ask God to lead you and to highlight a verse to you. You may have even just one word or phrase stick out to you. Maybe a vague picture or image comes to your mind. Let's trust that this is from God. You asked Him after all. Now, ask Him to help you as you choose your medium and put your hand to work. May the Lord "bless the work of your hands!" (Psalm 90). Have so much fun spending your time in this new way with the Lord! All ages are invited! Invite your grandmas, grandpas, friends, cousins, and your kiddoes to join! To enter, just subscribe below. Already a subscriber? Awesome! You're all set. Just follow the instructions below. 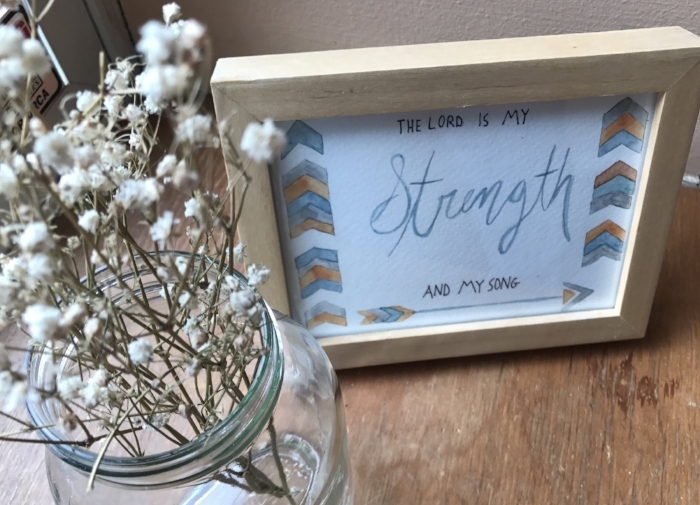 Winners will find their work featured in this visual gallery of Isaiah 12. What's the grand prize? A brand spankin' new watercolor set and my favorite travel-sized watercolor paper... so you can splatter joy anywhere! The artist's name as you'd like it to appear on the website. A one sentence bio including where you are from originally and something you love. You are welcome (and encouraged, but not required!) to include the age of the artist too. Because I think it honors the Lord when we share not just our gifts but who we are. I love knowing that a woman in her 80's with arthritis offers her poetry. That an 8th grader offered her masterpiece. And I that an 18 month old boy doodled a praise. It's all precious to me. A photo or scanned copy your artwork. Please shoot for good lighting with a clean, uncluttered background like a table, sidewalk, or floor. By submitting to Splatter Joy, you grant permission to publish your work on www.splatterjoy.com if selected and you are spreading more joy to others than you can possibly imagine! *Feel free to ask any questions in the comment section below. Have fun!!! Subscribe to SplatterJoy! and join the fun of this month’s Splatter Joy Challenge!